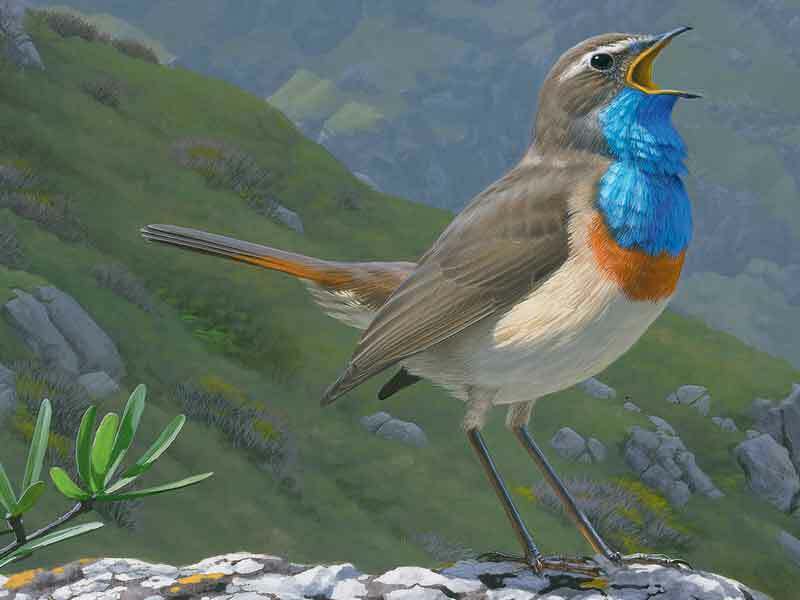 The cover painting for the wrap-around dust-jacket is of a Bluethroat, a White-throated robin and a Northern wheatear. 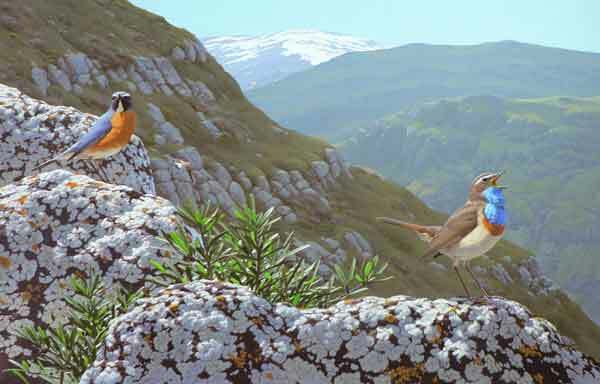 These three species occur together only in the Caucasus and this painting depicts them in the mountain landscapes of Armenia. The Bluethroat that is found in this region is of the race magna, which has no white or red spot in the centre of the blue throat. 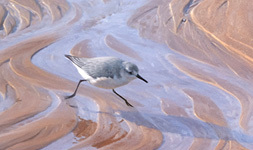 This original piece of artwork measures 340mm x 500mm and, like the identification plates, is painted in acrylics on Fabriano watercolour paper.